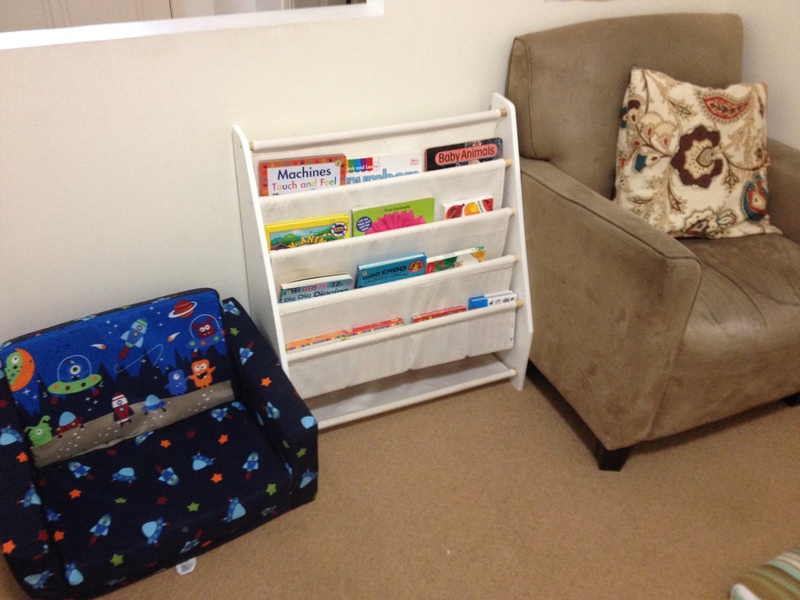 This is the current reading area set up in the playroom for both of my kids to use. It works for now but I am thinking of ways to make it a bit more cosy. I am thinking maybe bean bags and a rug? Maybe books in baskets? At the moment the books on display are all board books and mostly books with real pictures for my one youngest. My one year old is currently chewing books so I am not keen on putting any paper-back books on display just yet. Most of these board books are small and probably better suited to baskets. My three year old has the same tiered book-case in her room which contains her favourite books which she chooses to change whenever she wants to. I have finished the ‘Playful Learning Spaces’ ecourse which i loved. Two areas that were focused on were creating a book nook/audio centre and writing centre spaces in the home or classroom. I am keen to find the time to work on both of these. My youngest uses the kids couch or sits on the floor to look at books. I often sit on the large chair to read the kids stories. This space is right next to the reading corner. 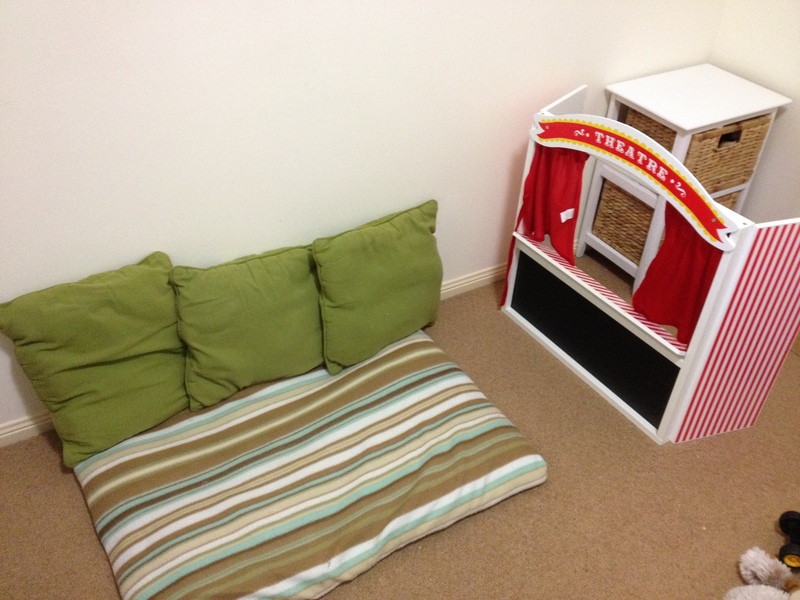 M y three year old mostly uses this space to look at books or as a seating area when a puppet show is on. You can see in the picture the wooden puppet theatre and a small white bed side table with baskets for storing the puppets and dolls. I will show pictures of the rest of the room in another post.